There are two elements that are at the heart of most of the risk in the “flipping for profit” business model, these elements are the cost of repairs (rehab budget) and the after repaired value (ARV). Get these numbers wrong and your great deal could quickly turn into your biggest nightmare. And both numbers are crucial in determining your Maximum Allowable Offer. At this real-world event we will focus on determining the cost of a rehab. When determining your rehab budget, it is strongly recommended that utilize a competent Contractor to help you establish your budget and reserves necessary. We will be bringing you one such Contractor on Saturday, March 5, 2016. Tom Deere of DFW Make Ready, the foremost remodel, rehab, and maintenance company in Dallas-Ft. Worth will be onsite to walk us through a typical bread and butter Flip from start to finish. We will first meet at our home-office in Arlington to learn rehabbing basics. Using a rehabbing worksheet you will learn rehabbing best practices for the most profit potential. We will then travel to the subject property for a hands-on walk through of an active rehabbing project, for you to experience without any risk of your own money. Tom will be there to answer your questions, give you priceless first-hand knowledge and advice. Property rehabbing and flipping can be a very rewarding business venture, but proper preparation and due diligence is required. And nothing can replace learning first-hand from a pro with years of experience. 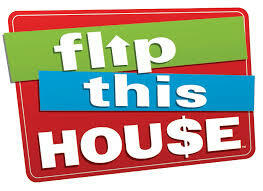 Let's get started investing in our “skills development” and Let's Flip This House!